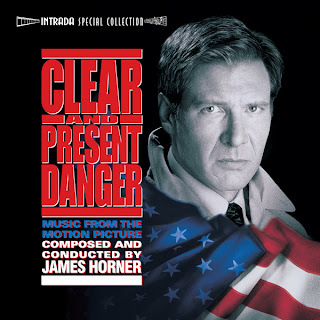 James Horners score for Clear and Present Danger (1994) begins with a burst of martial percussion and rising figures for horn and trumpet, ushering in a stirring patriotic theme that ebbs and flows through dense, rolling harmonies. Time and again, the melody returns to its center, steadfast and self-possessed. This is a story, the music says, of fundamental nobility; a story of the courage and honor that dwells in the heart of a true patriot; a story, in other words, of Jack Ryan. Then the music begins to subtly darkena reminder that nobility is forged in adversity. Horner's ability to blend classical symphonic traditions with modern electronics resonates with both the Cold War milieu and technological sophistication of Tom Clancys novels. Horner can hone in on a storys emotional center no matter how twisted the plot -- and provide a major asset for stories that are filled with conspiracies and intrigues. 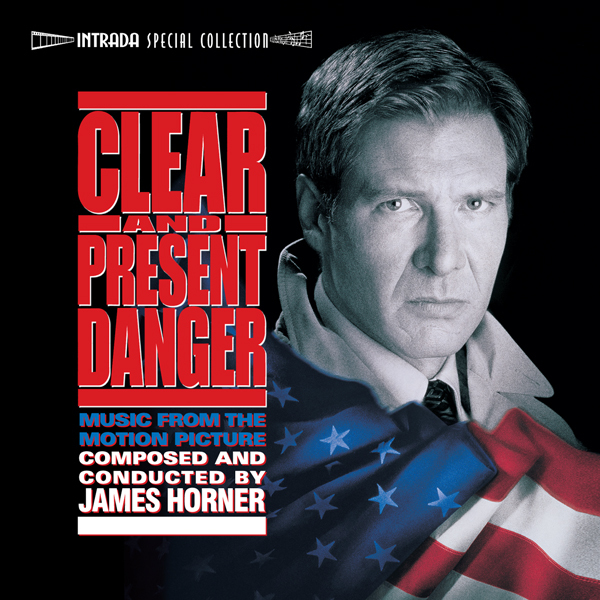 James Horner fashioned one of his longest film scores for Clear and Present Danger. Although he would typically include the majority of a scores important cues on his soundtrack albums, for this one he selected just over half of the music recorded for the picture. Interestingly, many of the cues for the last section of the movie (after Second Hand Copter) were absent. Consequently, all of those sequences that found Jack Ryan (Harrison Ford) pressed into action in Colombia, battling drug lords bent on death and destruction, are premiering on this 2-CD set. Paramount Pictures provided Intrada with access to the scoring session masters, recorded and mixed digitally. Clear and Present Danger was the third film from Paramount based on the Jack Ryan novel series by Tom Clancy, following The Hunt for Red October (1990) and Patriot Games (1992). It begins with an attack by Columbian drug lord that spurs the President of the United States (Donald Moffat) to set a secret war into motion. When things begin to get hot and Ryan comes close to exposing a conspiracy, he finds himself betrayed and alone. Ryan must travel to Columbia in a desperate bid to rescue the soldiers who have been so callously used and discarded. If he does not survive, the integrity of the American democratic system may well die with him. Just Announced! I am a huge fan of this score and of James Horner... so much that a tear came up into my eye.... and it's expanded! This was the point of my life where I was just started exploring scores that were not just science fiction, so this was my personal stepping stone.